Floods and landslides have swept across various parts of the country, leaving at least 37 people dead in the last 24 hours. Twenty-six others have gone missing while more than 2,000 houses are inundated. Landslides and floods triggered by incessant rainfall have left 15 dead in Pyuthan district, seven in Gulmi, four in Palpa, three in Makwanpur, two in Udaypur, three in Baglung, one in Banke and two in Rupandehi. Hundreds of families have been displaced in various parts of the country. Monsoon-triggered floods and landslides in Pyuthan claimed at least 15 lives. And at least 23 others in the district have gone missing. Over 200 households are at high risk of being swept away by flooding and landslide. Among the deceased, five are from Lung VDC, two from Puja, and two others from Khawang. Shova Rijal and Kali Pariyar of Lung-6 were buried in landslide. 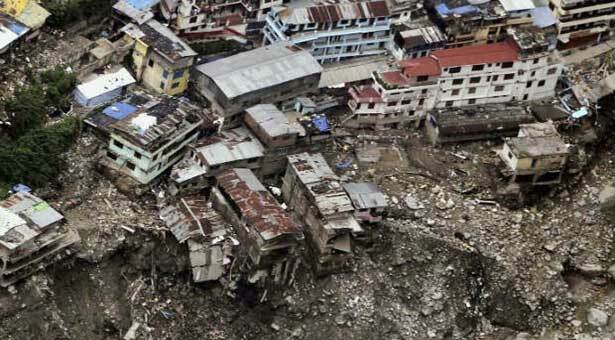 Prem Thapa, 11, Ranjana KC, 40, and Sushila KC, 12, of Bahane Bajar were buried by landslide and later pronounced dead. Similarly, Supari Malla and Mukesh Malla of Rajwara were buried by mud while sleeping at home. Two more have been buried under mud in Khawang. Their identities are yet to be ascertained. One person from the same area has gone missing. 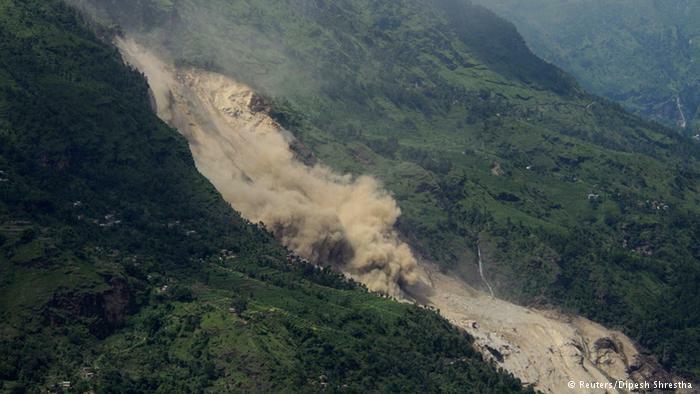 Meanwhile, more than 200 families have been displaced due to fear of landslides in various parts of Pyuthan. The affected families have not slept since Monday night due to landslide fears. Four persons, including three members of one family, died when their house collapsed due to landslide triggered by incessant downpour in Palpa district,Tuesday. According to District Police Office (DPO) Palpa, 45-year-old Tam Bahadur Kanauje, his wife Khagisara and daughter Yashoda Kanauje died in Gothadi VDC-5. The bodies of the victims, who were buried by landslide while they were asleep at house on Monday night, were retrieved only on Tuesday morning.